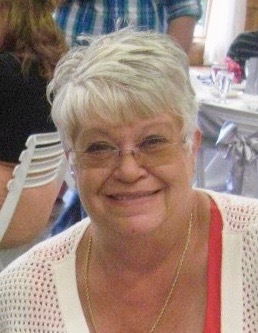 Mary Ellen Froehlich, age 68 of Grove City, MN passed away on Monday, March 18, 2019 at her home in Grove City, MN. A memorial service will be held at 11:00 AM on Saturday May 25, 2019 at First Lutheran Church in Cosmos, MN, 54986 145th St. 56228. Mary Ellen Froehlich, the daughter of Lloyd and Margaret (Lang) Roulet, was born on September 21, 1950 in Willmar, MN. She graduated from Atwater, High School in 1968. Following High School, Mary Ellen lived in Minneapolis where she worked for the University of Minnesota in the purchasing department and in Hutchinson where she worked for 3M. She was united in marriage to Virgil Froehlich at Immanuel Lutheran Church in Atwater on April 3, 1971. They lived south of Grove City and built a home on Lake Koronis, where they lived for many years. They moved to Colorado and lived in Fraser and Durango until moving to Arizona later back to Grove City. Mary Ellen and Virgil owned and operated restaurants, which included head chef and baker, while they lived in Colorado. Mary Ellen also managed hotels and was a work procurement specialist for the Kandiyohi DAC. She raised chickens, enjoyed camping, fishing, taking trips to the casino, enjoyed shopping, quilting, reading, playing cards, gardening, listening to music, baking and cooking. Mary Ellen is survived by her husband Virgil of Grove City, MN; children Travis Froehlich and Shelly Froehlich of Colorado; granddaughter Samantha Froehlich; and many in-laws, cousins, nieces, nephews and friends. She was preceded in death by her parents Lloyd and Margaret; and a brother Donald Roulet.